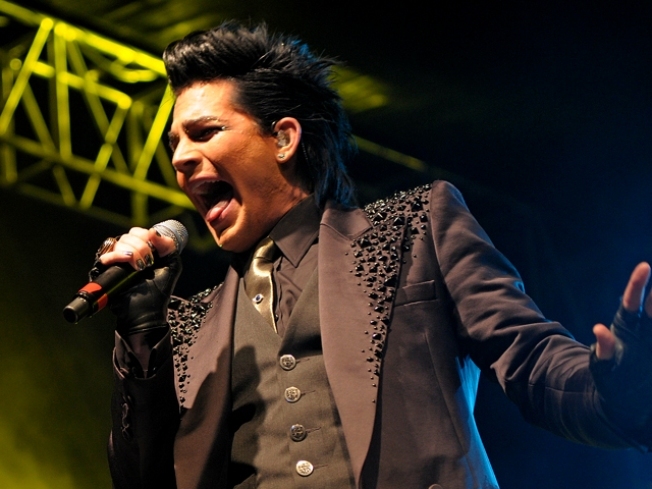 Adam Lambert comes to the Nokia Theatre. NOISEMAKER: Adam Lambert may have lost the Idol title to babyfaced coffeehouse-music plucker Kris Allen, but when it comes to bringing it live, there’s no contest. When Glambert takes the Nokia Thatre stage tonight, expect the following, in no particular order: sequins, tight pants, guyliner, catchy songs, bombastic arrangements, channeling of Freddie Mercury, behavior that gets you bleeped by the FCC. And seriously badass vocal talent. Can’t wait. (Equally talented also-ran Alison Iraheta opens.) 8PM. OM SWEET OM: With 10,000 people expected to attend The World’s Largest Free Yoga Class in Central Park, it’ll also have the distinction of being the only yoga class visible from space (where it’ll look like a giant, Lululemon-colored crop circle in the middle of Manhattan). The Flavorpill- and Jet Blue-sponsored event is led by Elena Brower with MC duties from Conan O’Brien opener Reggie Watts. Great Lawn, 6PM. PROOF: Her book The Boozy Baker: 75 Recipes for Spirited Sweets doesn’t come out until the fall (damn you, slow dead-tree media!) (CORRECTION: The book is out now from Running Press), but food writer Lucy Baker (Edible Brooklyn) comes to Greenpoint’s Word bookstore with a preview of her cookbook of sweet, liquored-up treats. Serious Eats’ Caroline Russock chats with Baker, and there’ll quite naturally be some boozified baked goods on hand. 7:30PM.